When I was asked to review this book, I had to admit the child in me had a bit of a chuckle at the title. Poo! What Is That Smell? 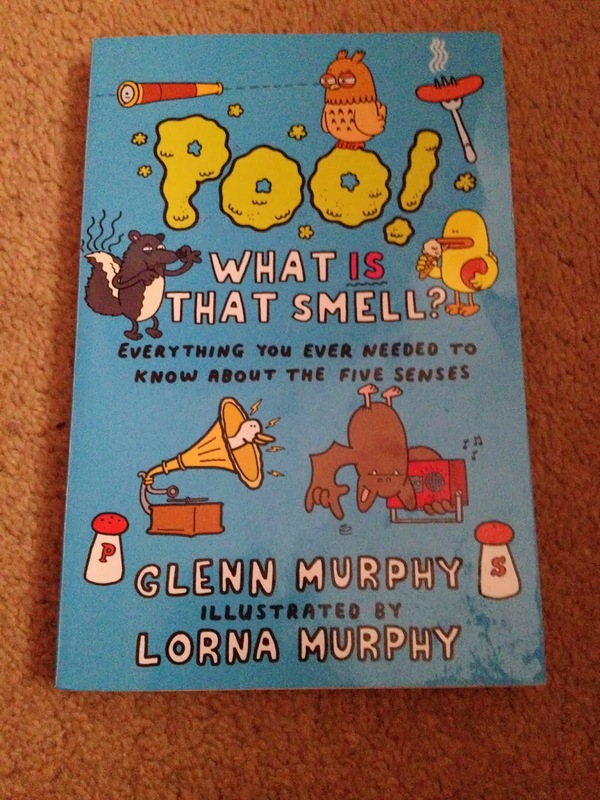 is written by Glenn Murphy who also wrote the best selling book, Why Is Snot Green, this book is an entertaining way of looking at and understanding everything you need to know about the five senses. Glenn Murphy has a masters in Science Communication from London's Imperial College of Science, Technology and Medicine so he really does know what he is talking about. 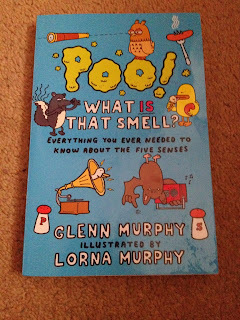 I would say this book is aimed at children maybe 6 and upwards, It answers many questions such as : why some smells make us feel sick, how sharks smell blood underwater and why bats use their ears for radar. All done in a funny and fascinating way whilst remaining educational. The book is bought to life by the clever and sometimes amusing illustrations drawn by Lorna Murphy, Glenn's sister. Broken down into five chapters : sight, hearing, smell, taste and touch. The whole book flows nicely and remains fun throughout whilst your child is given the chance to learn things and get answers to questions they may not have though to ask. I gave this book to my seven year old daughter to read and she was very impressed by it. It was lovely to hear her laughing away at certain parts and she was very keen to tell me what she had learnt once she had finished the book. If your kids are dying to know which animals have the biggest eyes, why spiders make webs and the most important question why do sweaty socks smell so stinky? Then this is definitely the book for them. It is nice to see a book that can be educational without seeming boring. Priced at a very reasonable £5.99, I would highly recommend going out and buying this book. We are now looking to buy other books from Glenn Murphy, the one my daughter picked out was, Does Farting Make You Faster. She has a mind like her fathers!! !